Opened in 1847 to replace Stirling’s Tolbooth Gaol – condemned as ‘The Worst Jail in Britain’ only a few years before Stirling’s New County Jail is better known to modern visitors as the OLD TOWN JAIL. 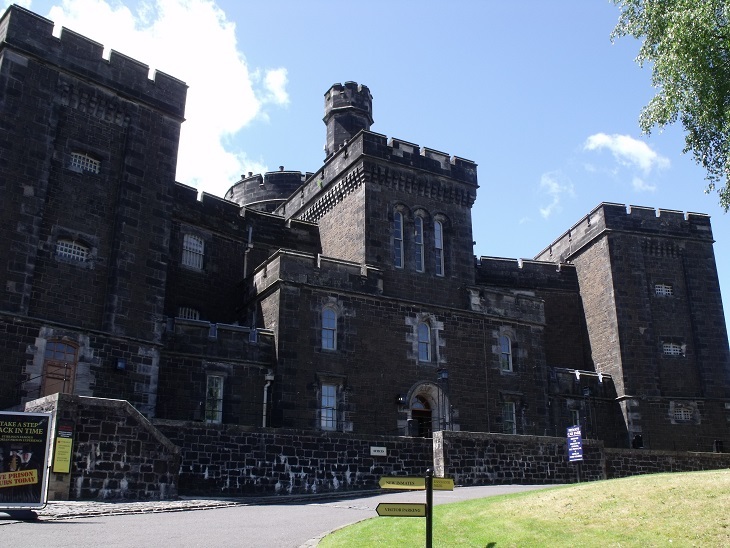 After forty years as the town prison, the building became Scotland's Military Detention Barracks in 1888, before falling quickly into dereliction after decomissioning in 1935. Between 1996 and 2012 the building re-opened as a Visitor Attraction, with actors trained by the Stirling GhostWalk's 'Happy Hangman', David Kinnaird, bringing characters from Stirling's bloody past to life through comedy and drama. The closure of the site was a great dissapointment to locals and visitors alike. In 2014, though, David worked with colleagues from Destination Stirling, Creative Stirling, Stirling Council, The Smith Art Gallery & Museum and Stirling Electrical to ensure that this wonderful attraction will re-open - in July, August and September of that year. It quickly established itself as one of the must-see attractions in the area. The Jail has re-opened each year since 2015 at Easter and daily during the peak July-to-September tourist season - with private group tours available by arrangement, off-season by. OTJ closed for the season on 9th September, but will re-open for Mid Term break in October!